First thing's first, this is going to be a lengthy post so I do apologise. I've had so many new products to try out from the brand Technic, and I'm finally getting around to making this post. 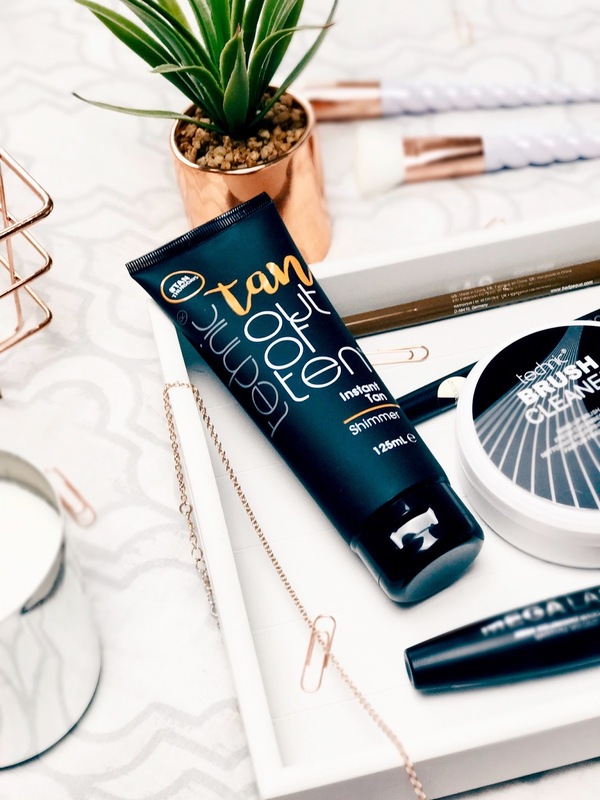 The majority of products have been makeup related, but I do also have an amazing tanning product and brush cleanser, so let's start with that. Usually I clean my brushes with the Beauty Blender Liquid Cleanser, so changing to a cleansing balm was a strange transition. 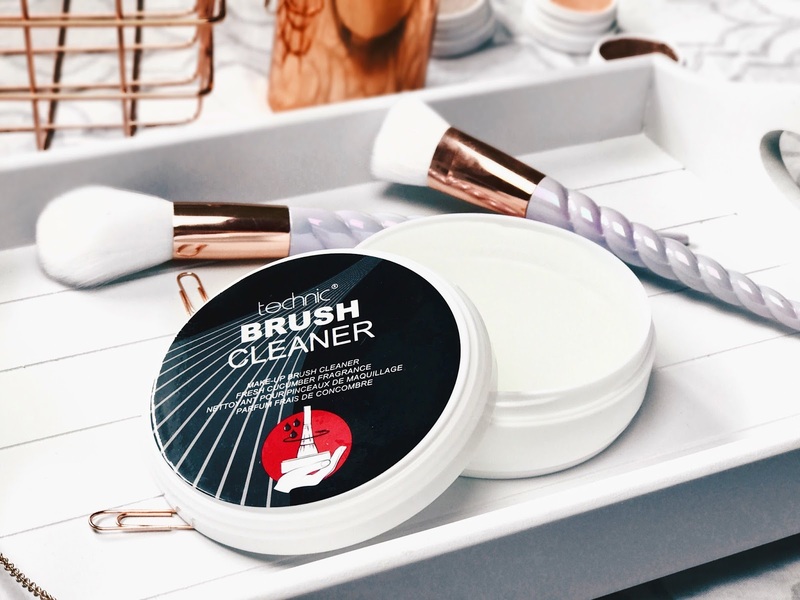 The balm does take the top layer of makeup off the brush, so is fine for a quick refresh, but I would still prefer to use a liquid cleanser for a more deep cleanse. Maybe using a liquid cleanser once a month, and using the balm on a more regular basis would be a good method. I always love trying out new tanning products, but for some reason I've yet to try out a tan with a shimmer formula. I think I've always been too scared in case they're going to leave enormous chunks of glitter on my body. However, that is not the case. This particular tan isn't too dark, but leaves a lovely sheen to the skin. This is definitely one for your holidays, for that poolside glow look! I'm sure most of you are like me: obsessed with highlighters! The two shades I have are very different, the first being more of an off white highlighting powder, so don't expect much glow or glitter from this one. This is purely going to brighten up particular areas. The second being a bronze shade. Now this is obviously not going to match my skin tone, but I thought I would share it anyway for those with deeper skin tones. The pigmentation of this one is insane, it might actually be a little bit too intense as a highlight, but you could definitely use it for a gorgeous shimmer eyeshadow! This is a very yellow toned setting powder, and although it says it is suitable for all skin types, I don't think this would work for anyone who has a very deep skin tone. That being said, I really did like this setting powder. I've only been using it under my eyes as I that's the only area I find I really need to set to prevent creasing. It is quite heavy, so I wouldn't recommend using it all over the face. This mascara was so much better than expected! If you're looking to add a lot of volume to your lashes I would highly suggest trying this one out. It doesn't add too much length, which I'm not mad about seeing as it doesn't claim to do that. I'm always wary of trying new brow products, but this one wasn't too bad. 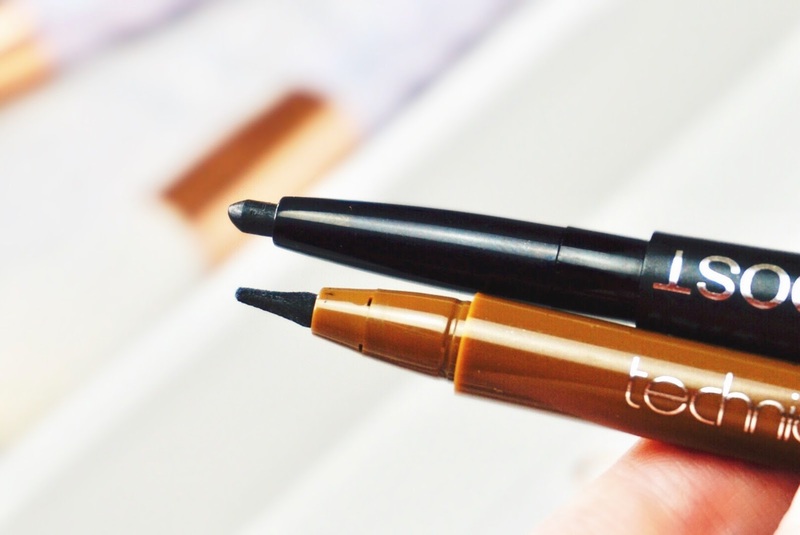 The brow boost has a typical brow pencil on one end, and a highlighter stick on the opposite end to carve out and shape the brow. I found the highlighter to be a bit too dark for my skin tone, but the pencil was nice and smooth and not too heavy looking. Sadly, I'm not a fan of this product. This is a brow pen, which hearing that is enough to put me off already. I'll give credit where credit's due however and say that this does create a softer, more natural looking brow. But it is also extremely streaky. The pigment seems to be all over the place. Throughout the day the colour seems to darken too. There are definitely some hits and misses from Technic. If you were going to get only two things from this post I would say try out the tan and the mascara. Saying that though, there is nothing I would completely avoid. The only thing I would say was a big miss for me was the brow pen. 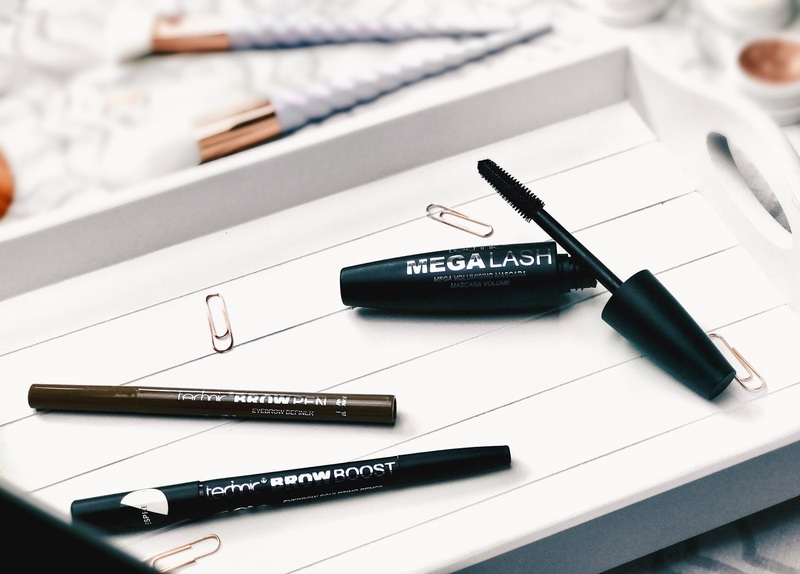 Have you tried anything from Technic Cosmetics before? What are your favourite products? *Post contains PR samples. All words and opinions are my own. Tan Scares me, Ive only used tan once in my 27 years. Even when all my friends were loving it I just rocked the pasty look. It all went wrong when I was 15ish and it wasn't a good luck, from then on I've never used it! Even shimmery ones scare me now! Great post and this all looks amazing! Especially those highlighting powders 😍 They look to die for. Your photography is amazing as well. 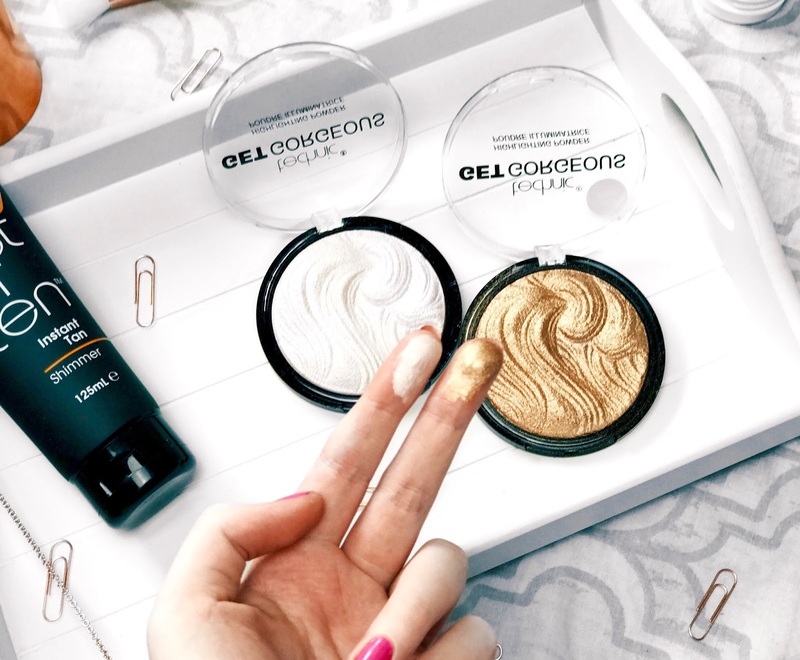 I really love how honest you are about the products in this post! I do love the looks of the highlighting powders! Hi, I've not heard of this brand before. A nice honest review. I may try the brow pens. Ohhh I really like the sound of the brush balm for a quick clean! Like you I agree that once a month you really should go in for a deep clean with the liquid cleanser but it sounds like a really good option when you don't have much time! I definitely need to check out those highlighters!!! Omgosh - they look amazing. Also your pictures are beautiful! You reminded me I need to clean my brushes! Great reviews. Succinct and to the point. As usual, photography is Lovely! I really love the look of those highlighters! I really want to try some different forms of brush cleaner so I might pick this up! Oh my, those highlighters are stunning!! There's some really great choices here. The tan sounds lovely! I need to try some Technic products, I've heard they do some real steals for the prices! The photography on this post is gorgeous! Love this post, definitely going to check out Technic! Those highlighters are gorgeous and the darker highlighter would look great along with a tan, possibly. Their highlighters are amazing aren't they! 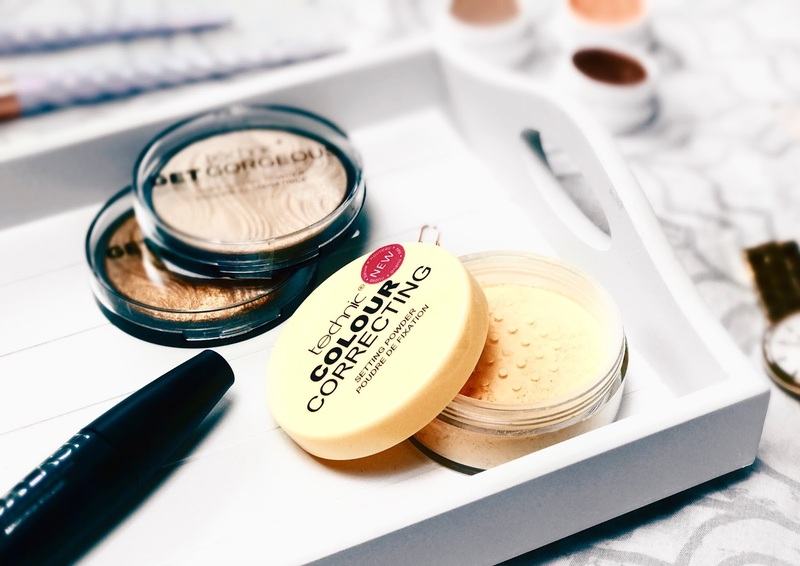 Love the colour correcting powder to! Amazing! I'm really intrigued to look into a brush cleanser, I've always just used baby shampoo to clean my own. 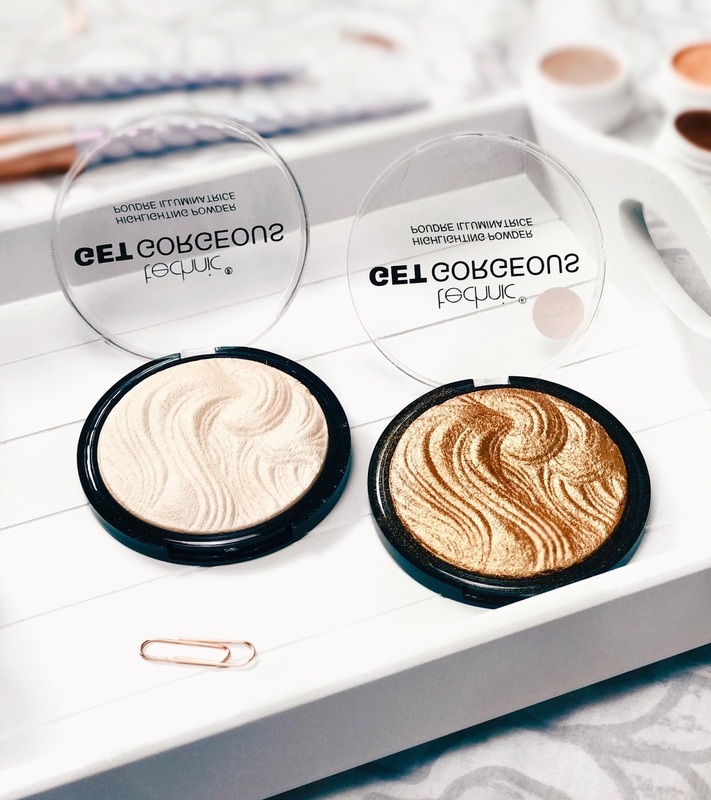 Im swoon over those highlighting powders! How gorgeous!